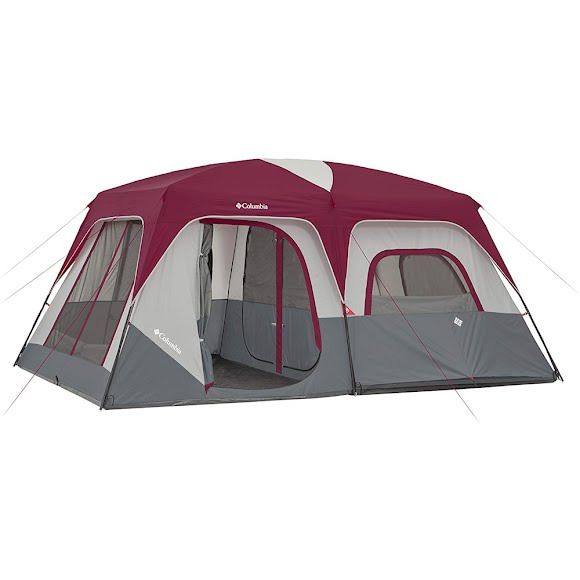 Sleep up to 10 people comfortably in the Columbia Gladstone 10 Tent which features Omni-Shield® advanced repellency and 6 large windows. A water and stain barrier that delivers protection from the outdoors. This coated fabric resists liquids and dries 3-5 times faster than untreated fabric, meaning it stays lighter even when wet.